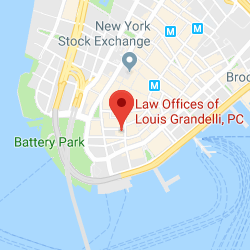 New York RSD Lawyers | Law Offices of Louis Grandelli, P.C. 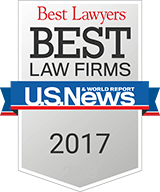 Our RSD lawyers have had great success in various cases where clients have suffered from RSD as a result of an accident or trauma. Reflex sympathetic dystrophy (RSD) syndrome, also known as Complex Regional Pain Syndrome (CRPS), is a relatively uncommon, but debilitating nerve disorder that is characterized by continuous and severe pain. The exact cause of RSD is unknown, but it can be brought about by sprains, fractures, lacerations, surgery, damage to blood vessels or nerves, and brain injuries. RSD can occur from any type of incident involving trauma, such as a car accident, construction accident, slip or trip and fall accident, or after surgery for an injury caused by one of these incidents. 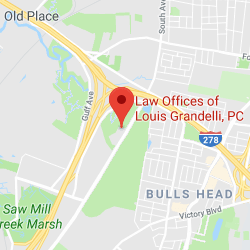 At Law Offices of Louis Grandelli, P.C., our RSD lawyers have handled numerous cases where our client has suffered from RSD and have a tremendous amount of success in maximizing the damages in these cases. 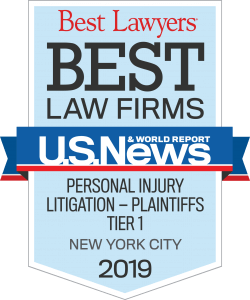 Our recoveries in this case include the following: $2.9 million (Staten Island construction worker who slipped down a stairwell); $2.5 million (Brooklyn construction worker who tripped on debris); $875,000 (moving company employee who had a pallet dropped on his foot) and $850,000 (Staten Island woman who slipped on ice). The onset of symptoms from RSD may be rapid or occur over an extended period of time. The pain often begins at the point of injury, but then spreads throughout the limb or the leg/arm on the opposite side of the body. The condition is most commonly seen in people aged 40-60, but it can occur in people of all ages. Further, the pain that the condition causes has been known to lead to high rates of anger, anxiety, depression, fear and suicide. Correctly diagnosing RSD as soon as possible can play an important role in managing the symptoms over the long run and preventing it from becoming a permanent condition. While there are treatments for RSD, including exercise, physical therapy, medications, injections and/or surgery, they are all significantly more effective if started earlier in the process. As a last resort, a physician may perform a procedure involving the implantation of a spinal cord stimulator. When this is necessary, the most common approach is for the patient to undergo a “trial” stimulator to evaluate the patient’s response. If this procedure is successful, the implantation of a permanent stimulator will be performed. Further, given the potential severity and permanency of RSD, any person diagnosed with this condition is likely to require expensive care for the rest of their life. As such, when RSD is related to an injury caused by the negligence of another, it is important that an attorney with experience dealing with an RSD case is retained. Our legal team has this experience and we know how to aggressively litigate these cases and ensure that our clients damages are properly projected. Since the costs associated with the treatment of RSD can be overwhelming, at our firm we will hire a Life Care Plan Expert when necessary to evaluate the anticipated future expenses for medical care, medical supplies and medications, to ensure that our client’s damages are contained in the allegations in their lawsuit to maximize their recovery. If you or a loved one are interested in legal assistance in a case involving someone suffering from RSD, please don’t hesitate to contact our RSD lawyers for a free legal consultation.